Hyderabad-based Aayuv Technologies Pvt Ptd, which operates healthcare technology startup eKincare, has secured Rs 2.2 crore ($330K) in a pre-Series A round of funding from existing investor BitKemy Ventures, Maheshwari Investments Pvt Ltd and HNI investors Anshoo Gaur (head of Amdocs in India), Rama Krishna Reddy and Sandeep Seerapu. 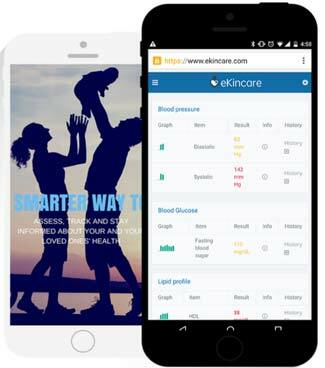 eKincare’s platform helps one keep his/her family's health records at one place and access it from anywhere, anytime using a computer, smartphone or a tablet. The startup will use the current round of funding to strengthen product development and hire talent. “Besides, the funds will be used to improve the firm’s B2B offering and expand to other cities,” said Kiran Kalakuntla, founder and CEO of eKincare, in a press statement. “We have seen a lot of interest from corporates to leverage our platform for their employees and keep track of the organisation’s wellness metrics,” he said. While the platform is free for users with no limit on the data stored, the firm earns a sales commission from the healthcare organisations it has partnered with. Kalakuntla said. “Customers cannot be bothered to enter health data manually. For PHR to be useful it needs to be connected to services such as appointment booking, referrals, test results and repeat prescriptions. It needs to harness an individual's medical history to learn and recommend,” he said. Kalakuntla claims eKincare is growing at 150 per cent quarter on quarter. It is also planning to launch a wellness index that will help measure an individual’s health on a scale of one to 100. While players in the health tech startup space such as Practo and Credihealth focus on developing a platform for booking appointments with doctors, firms such as Mumbai-based ViDoc Healthcare manage patients’ medical records online for hospitals and clinics. eKincare was established in October 2014 by Kalakuntla, a Duke University graduate and AT&T alumnus and Dinesh Koka (co-founder and COO), who has previously spent 14 years managing healthcare IT business and sales at GE Healthcare. The firm consolidates an individual’s medical history collected from healthcare providers on a single platform. It also identifies potential health risks and provides a personalised health plan. The platform is free for users and allows management of multiple profiles. eKincare raised Rs 1 crore ($161,000) in seed funding from BitKemy Ventures and US-based healthcare enterprise firm Adroitent Pvt Ltd in December 2014 and January 2015, respectively.